With the new Citroën Grand C4 SpaceTourer, you can expect an ultra-comfortable ride for up to seven occupants on board this spacious MPV. Take your pick from three trim levels (Touch Edition, Feel or Flair) and your choice of cost-effective engine. Understated good looks are part of the Grand C4 SpaceTourer's attraction. Couple this with 16-inch Viper alloy wheels and colour-keyed components (like door handles and door mirrors) and you have the full package. A tinted rear windscreen gives this model an air of exclusivity. You can also enjoy twin-optic headlights, LED daytime running lights, front fog lights and 3D-effect rear lights as standard across the line-up. The Grand C4 SpaceTourer's roomy cabin ensures up to seven passengers have enough personal space. Up front, the driver enjoys total comfort from a height-adjustable seat, coupled with a height and reach adjustable steering wheel that allows you to create your ideal cockpit. A panoramic windscreen ensures a prime view of the road ahead too. Flexible seating allows you to create the space you want, with as much or as little boot room as you need. Minimum cargo capacity stands at 165 litres, increasing to 793 litres with the third row folded and slid forwards. Fold down the second and third rows and you’ll have a massive 2,181 litres. Whatever your lifestyle, there’s an engine to suit with the Grand C4 SpaceTourer. Even entry-level Touch Edition grades come with a number of options, such as a 1.2-litre 130bhp petrol unit. This powertrain products 230Nm of torque, while managing approximately 56mpg and a 115g/km CO2 figure. Prefer diesel? Then there’s a more powerful 1.6-litre 100bhp diesel that delivers 254Nm of torque, returning around 74mpg and keeping CO2 emissions down to 99g/km. As an addition fuel-saving measure, every trim comes with a Stop & Start system that automatically cuts out the engine when you come to a standstill. 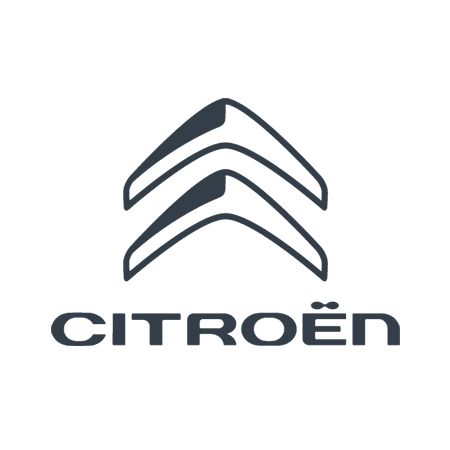 Peace of mind is assured with the Citroën Grand C4 SpaceTourer with its five-star safety rating by Euro NCAP. A comprehensive suite of driving aids includes rear parking sensors, tyre pressure monitoring system, hill-start assist and anti-lock braking system. Meanwhile, passive safety features include ISOFIX anchor points that allow for safe and secure child seat fitting, plus multiple airbags for all-round coverage. When it comes to entertainment, you get an intuitive seven-inch touch screen interface across the line-up giving you access to DAB radio, RDS radio and Bluetooth connectivity. Six loudspeakers ensure crystal-clear sound, whether you’re receiving a call or streaming your favourite music. The Citroën Grand C4 SpaceTourer is available now from Wilmoths. Why not get in touch to arrange a test drive at a time that suits you? You can take this model for a spin at your local showroom. Find us in Ashford, Crayford, Eastbourne, Folkestone, Guildford, Hastings, Maidstone, Southampton, Uckfield, Winchester and Wokingham.